Top Notch Material: Win a Notes N' Stuff kit from Manhattan Toys! Win a Notes N' Stuff kit from Manhattan Toys! My oldest son is what my mom always called me, a "doodler." He likes to sit and write, draw picture, keep a journal and even write books from time to time. Manhattan Toys, which is a brand that I am definitely loyal to, has now created four new imagine i CAN play kits to stimulate young minds and keep them busy. Each of these lines work perfect for entertainment during long car rides! 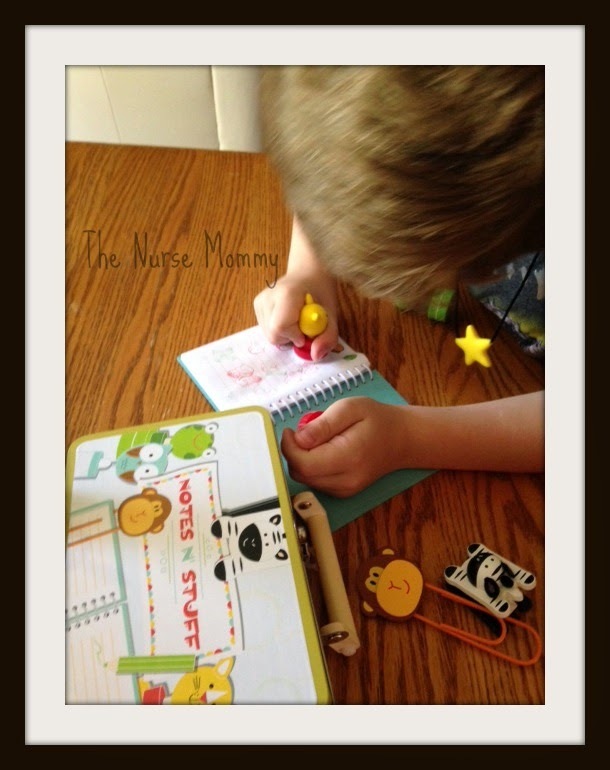 We received the Notes N' Stuff Kit for review and my oldest (6 years old) loves it! ABOUT THE MANHATTAN TOY COMPANY® The Manhattan Toy Company is dedicated to the art of creative play, quality craftsmanship and the success of the national and specialty retailer. The company distributes through thousands of stores nationwide. Toys are designed, developed and manufactured with every child's safety in mind. 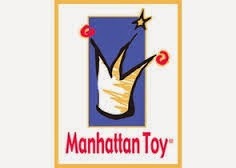 The Manhattan Toy Company ensures that each product complies with all U.S. and European toy and safety standards. 1 pencil sharpener, 1 pencil topper,1 magnetic clip and 2 self-inking stamps. 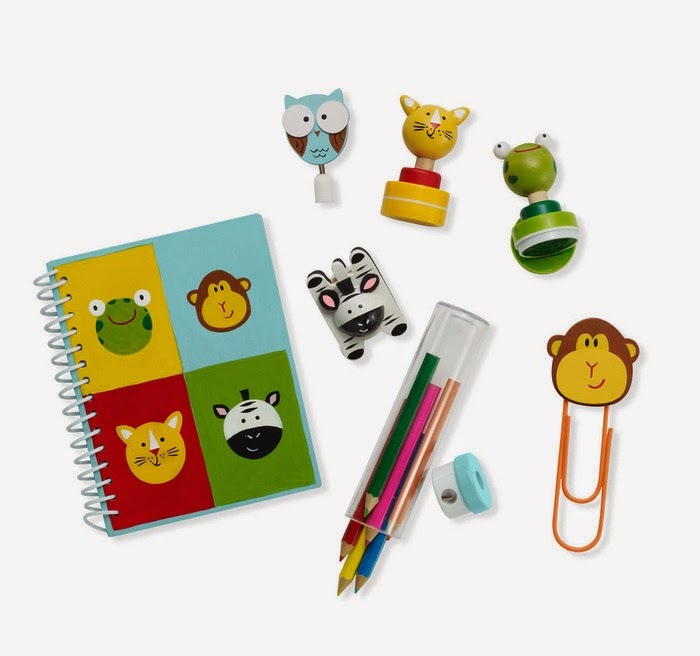 This incredible little kit has everything my son needs to write his own book. It keeps him busy for a pretty good amount, which gives Mommy a break from his constant questions! It's peace and quiet until he needs help spelling a word. It is also incredible cute, with colorful animals on every item! My youngest son wants to get his hands on it so bad, but at a year old, he needs to wait a while longer. Another thing that I absolutely love about the imagine i CAN kits is that the metal box that is comes in can be repurposed as a lunch box at school, or a box for stray crayons and markers! There is NOTHING to be wasted with this kit! 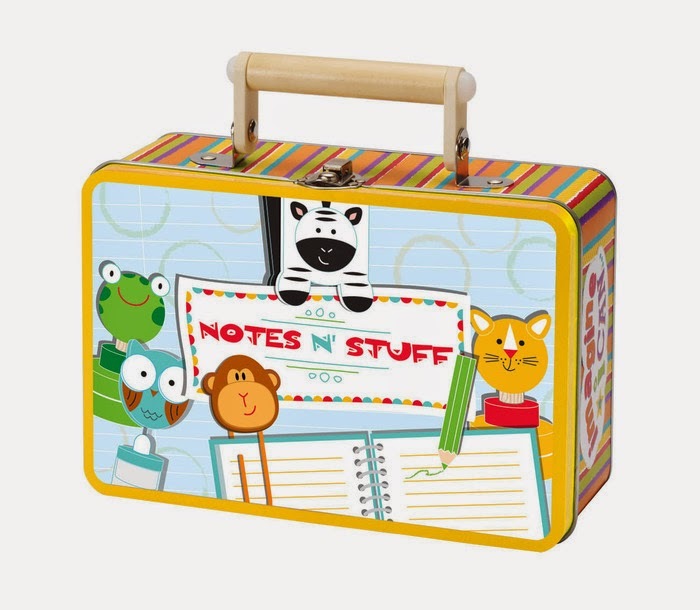 Win It- One lucky winner will receive their own Notes N' Stuff Play Kit from Manhattan Toys. My daughter would love the Groovy Girls Child Size Groovylicious Kitchen. I love their Groovy Girl dolls, especially Lakinzie. The mermaid Groovy Girls are cute, as well. I love the Ride-Upons Unna Unicorn!